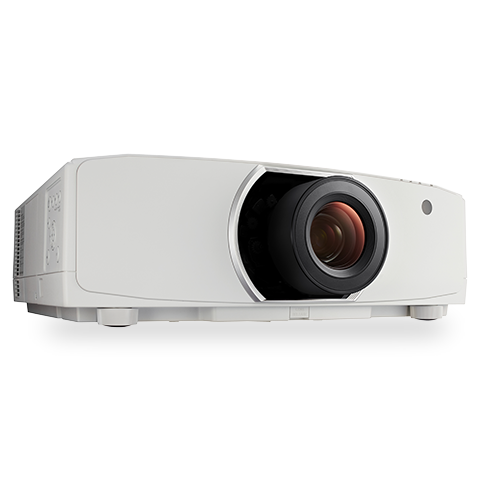 The four compact projectors boast wider color space and advancements in picture processing, as well as extended lamp and filter life to help reduce maintenance costs. The latest multimedia projectors added to the PA Series include the NP-PA653U, NP-PA803U, NP-PA853W and NP-PA903X with WUXGA, WUXGA, WXGA and XGA resolutions respectively, according to a news release. The key difference between the four compact models and other projectors in the PA Series is NEC’s Scaler Chip, an integrated picture processor that “simultaneously manages 4K/60p input and shares signal output with multiple daisy-chained connected projectors.” The Scaler Chip also provides image noise reduction, de-interlacing, scaling and full 10-bit color processing. The four models range from 6,500 lumens to 9,000 lumens and have extended lamp and filter life to 5,000 hours and 10,000 hours respectively, helping to reduce maintenance and improve the total cost of ownership for users. Highly flexible geometry controls that enable images to be manipulated on irregular surfaces. The new NP-PA653U, NP-PA803U, NP-PA853W and NP-PA903X projectors are advertised at $5,399, $6,199, $4,649 and $4,499, respectively. They come with a three-year limited parts and labor warranty, as well as one-year coverage (or 500 hours) for lamps. Further information is available on the NEC site.